Organizer Will provide the transfer to Taranto.........but just for teams more than 6 athletes. 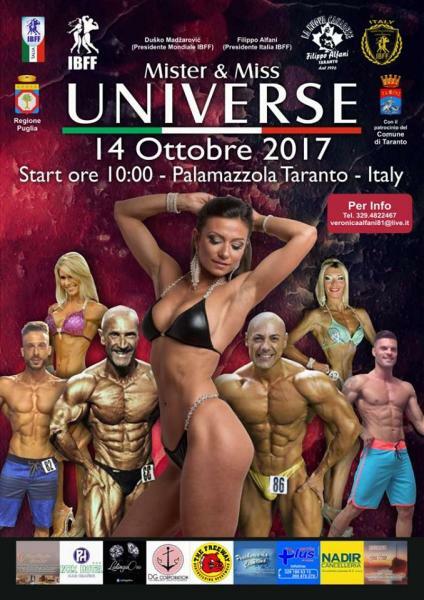 Organisator of IBFF UNIVERSE Championship 2017 and IBFF GALAXY 2017 will provide FREE accommodation for athletes and judges, they will be hosted bed and Continental Breakfast for 3 nights, covering the October 13.,14.,15. October 2017 by IBFF Italy.